Arrive Kathmandu Airport receive and transfer to hotel. 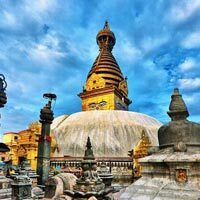 Post lunch half day local sightseeing in Kathmandu will cover Pashupati Nath Temple “Temple of Lord Shiva has golden roof with four silver doors situated bank of the Bagmati River” and Baudha Nath Stupa built in 5th century AD; the ancient stupa is one of the biggest in the World. Overnight in Kathmandu. After breakfast half day local sightseeing in Pokhara will cover Davi’s fall locally known as Patale Chhango (hell’s fall); is lovely waterfall lying about two km south west of Pokhara Airport on the Siddartha Highway and Gupteswar Cave is a sacred cave, situated opp of Davi’s fall the cave is almost 3 kms long, Binde Bashini Temple and Seti Gorge. Afternoon free for your personal activities. Overnight in Pokhara. After breakfast drive back to Kathmandu. 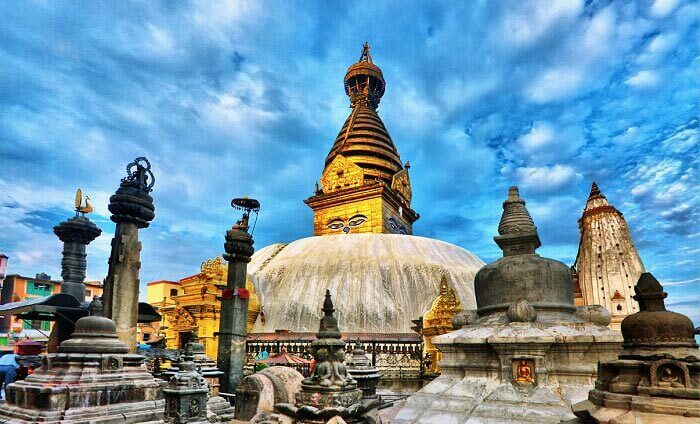 Afternoon sightseeing to Patan Durbar Square, Krishna Temple and Swayambhunath Stupa. Evening free for your personal activities. Overnight in Kathmandu.